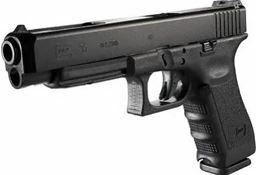 With its extended barrel and line of sight, the GLOCK 35, in .40 caliber, allows for accurate hit patterns, especially when rapidly firing at multiple targets. This has resulted in widespread adoption of the G35 among members of the practical shooting community. The G35 dominates the Limited Class of competitive shooting sports worldwide.